← Please explain how PDF To Image converter convert Swedish pdf to wmf with some graphs. I have lots of TGA files, I want convert them to PDF files now, please help me. In this article you will see how to convert tga to pdf files with PDFcamp Printer which can convert any type of printable files to pdf files. But first you should know what is TGA files. Truevision TGA which was developed by Truevision Inc. in 1984 is a raster graphics file format. TGA files always recognized as the extension ".tga" on PC DOS/Windows systems, and ".tpic" on Macintosh systems. The format stores image data with 1–32 bits of precision per pixel. But TGA files are not supported by many image viewers. 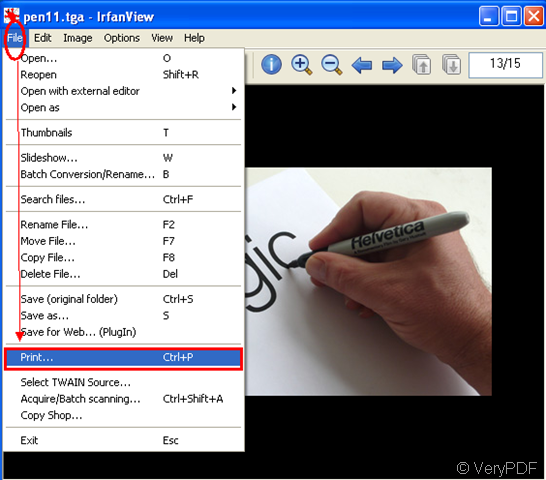 If you want to open or view a TGA file,you should install a image viewer which can open TGA.Such as IrfanView. The content below are the steps for you to learn converting tga to pdf files. Step1.Open a tga file.Then click “file” button of current GUI,in dropdown list you can see “print”,please click it.You also can press “Ctrl” + “P” on your keyboard at the same time.All things you did above is for the same goal:run your printer driver.Please look at figure 1. Step2.In “print preview”dialog box,you can set some parameters of output file such as print size which can change the size and position of an image in a paper,headnote/footnote text which can be set by yourself ,number of copies,fonts,etc.If you want to set the parameters of PDFcamp Printer,you can click “printer setup” button then click “properties” button in “printer setup” dialog box.Please look at figure2.After all the setting are ok,you can click “OK” and “print” button. Step3.Just save and name the new file in “save as”dialog.You can specify the path in “save in” combo box,edit the name in “file name” combo box.Then click “save”.Look at figure3. Then you will see a new pdf file.Look at figure4.PDFcamp Printer is easy to use,isn’t it? 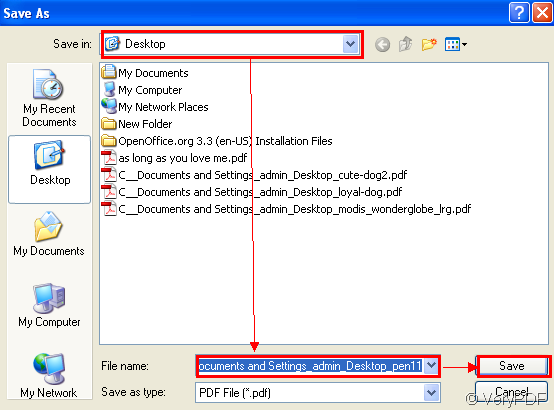 How to print PCL file to PDF file? 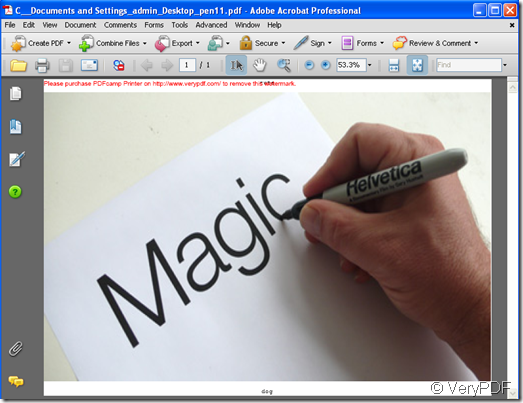 How to print OpenOffice Impress to PDF file? 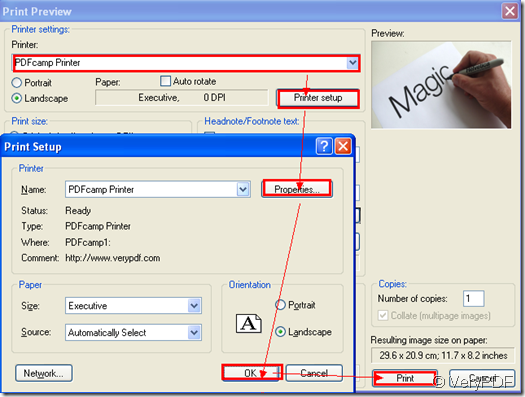 How to print HPGL file to PDF file? This entry was posted in PDFcamp Printer and tagged tga to pdf. Bookmark the permalink.